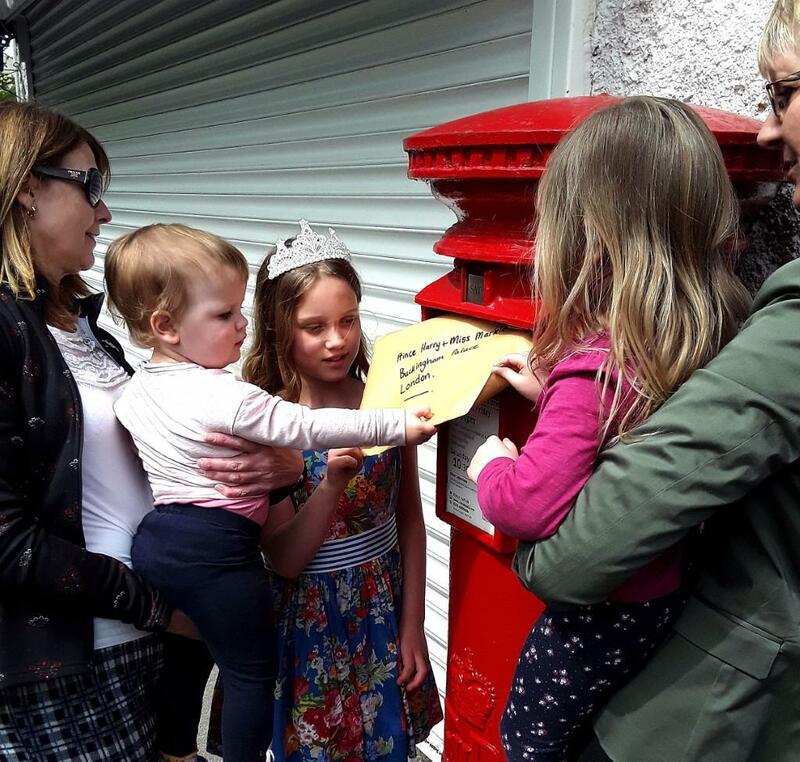 Fashion-conscious youngsters in Bishop Middleham have written to Prince Harry and Meghan at Buckingham Palace to tell the happy couple what they think the bride should wear on their big day. More than 200 visitors to Saturday’s ‘Weddings Then and Now’ Exhibition at St Michael’s Church already have a good idea . . .
Six groups of village children put their suggestions on display for all to see. Some of them are pictured posting their letter in the village postbox (with a helping hand from their mums). “It will be interesting to see if they get a reply,” said one parent.